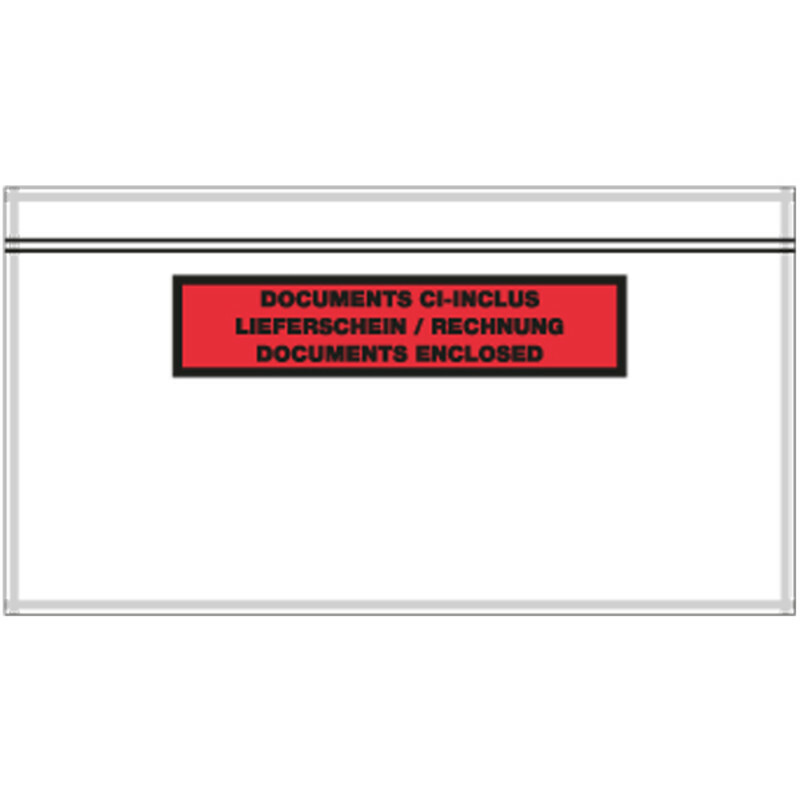 UNIPACK | DEBAPAC | DEBAQUICK Document pouches | Anton Debatin GmbH | EN | Safe. Perfect. Packed. 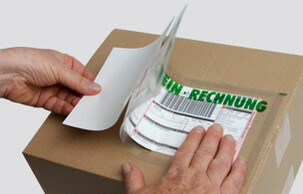 UNIPACK™ self-adhesive bags protect all types of freight documents, operating manuals, shipping papers etc., worldwide. The extensive range of standard products includes document pouches in five different sizes, with three different closure systems and various overprints. These pouches offer optimum, environmentally-friendly support for day-to-day logistics processes and tasks. ideal for cash-on-delivery documents, addresses, operating manuals on machines, book registry tickets, warranty papers, freight documents, shipping papers, vehicle registration papers etc. Customised UNIPACK™ special editions with up to 4 printing inks and special sizes available on request. UNIPACK™ is also available in PREMIUM quality. We take the environment seriously. For this reason, we use only environmentally-friendly polyethylene in the production of our UNIPACK™ products. Polyethylene can be recycled, does not contaminate groundwater, and does not emit poisonous gases when burned. UNIPACK™ – environmentally friendly self-adhesive bags by DEBATIN – made in Germany! 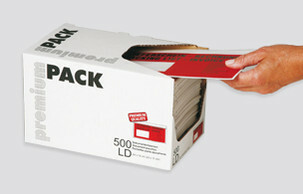 UNIPACK™-premium – self-adhesive bags for documents, operating manuals etc. Thanks to extra-strong foil, UNIPACK™ premium document pouches are even sturdier, and can cope with extreme pressure. 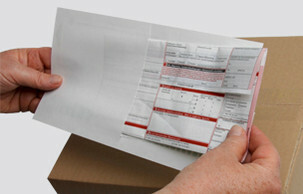 Freight documents, invoices and delivery notes are given optimum protection. The bags are totally weatherproof, environmentally friendly, and are in service reliably and securely around the globe. UNIPACK™ premium stands for easy, rapid handling and optimum logistics and shipping processes. 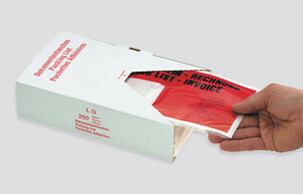 extra-strong self-adhesive bag for freight documents such as delivery notes, invoices, freight papers etc. UNIPACK™ premium can also be made to order in special sizes and with overprint to customer specifications. UNIPACK™ premium – environmentally friendly self-adhesive bags in premium quality by DEBATIN – made in Germany! UNIPACK™ EXPORT – reliable document pouch for freight documents. Document pouches have to protect their contents – freight documents, for example – with utmost reliability throughout transit, even under severe conditions. UNIPACK™ EXPORT mailing bags are extremely sturdy, and were developed specially for such use. 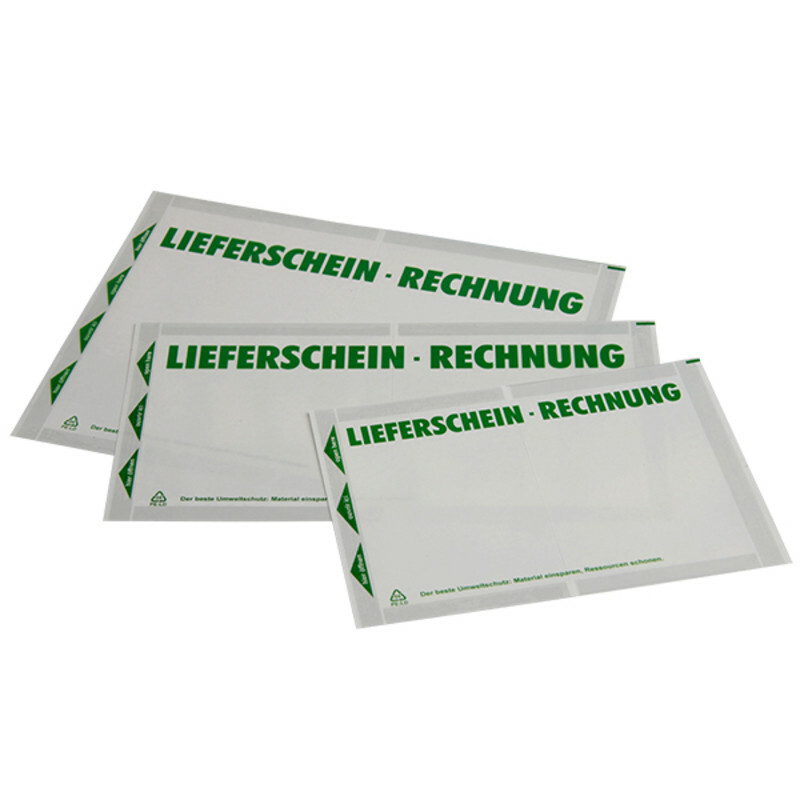 As well as a self-adhesive back, these bags also feature a broad strip for stapling purposes, so that it can be affixed even more securely. This means that UNIPACK™ EXPORT bags can be affixed securely and safely even to wooden freight crates. 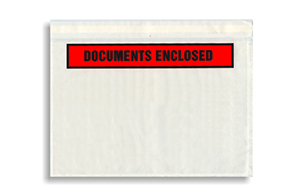 A separate document pocket ensures that freight documents are not damaged when the bag is affixed. 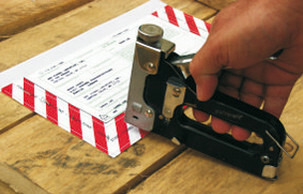 Freight documents can be directly attached to the wooden crates by using the red-shaded surface. Thanks to the self-adhesive and resealable closures of UNIPACK™ EXPORT document pouches, papers can be easily removed and replaced – by customs, for example. 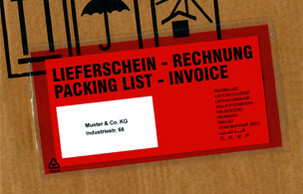 UNIPACK™ EXPORT – sturdy mailing bags for heavy-duty use by DEBATIN – made in Germany! DEBAQUICK™ – environmentally friendly, self-adhesive bags for documents. These innovative, self-adhesive DEBAQUICK™ bags are perfect for sending all types of freight papers, whilst at the same time going easy on the environment and on valuable resources. Thanks to their single layer construction, these mailing bags cut the amount of polythene needed by nearly 50%. And with less gum near the edges, they also use far less glue than self-adhesive bags which are gummed along the entire flap. By cutting down so significantly on the use of raw materials, there is also less waste – which in turn helps to save both the environment and costs. With its single-layer construction, DEBAQUICK™ is not so much a bag as a foil, which is affixed to the freight over the freight papers. It is every bit as secure as a conventional delivery note envelope, but cuts out all superfluous foil and glue. We take the environment seriously. For this reason, we use only environmentally-friendly polyethylene in the production of our DEBAQUICK<sup™products. Polyethylene can be recycled, does not contaminate groundwater, and does not emit poisonous gases when burned. DEBAQUICK™ –environmentally friendly self-adhesive bags in premium quality by DEBATIN! DEBAPAC™ document pouches are perfect for sending invoices, delivery notes or freight documents, and have proven their worth a million times over. 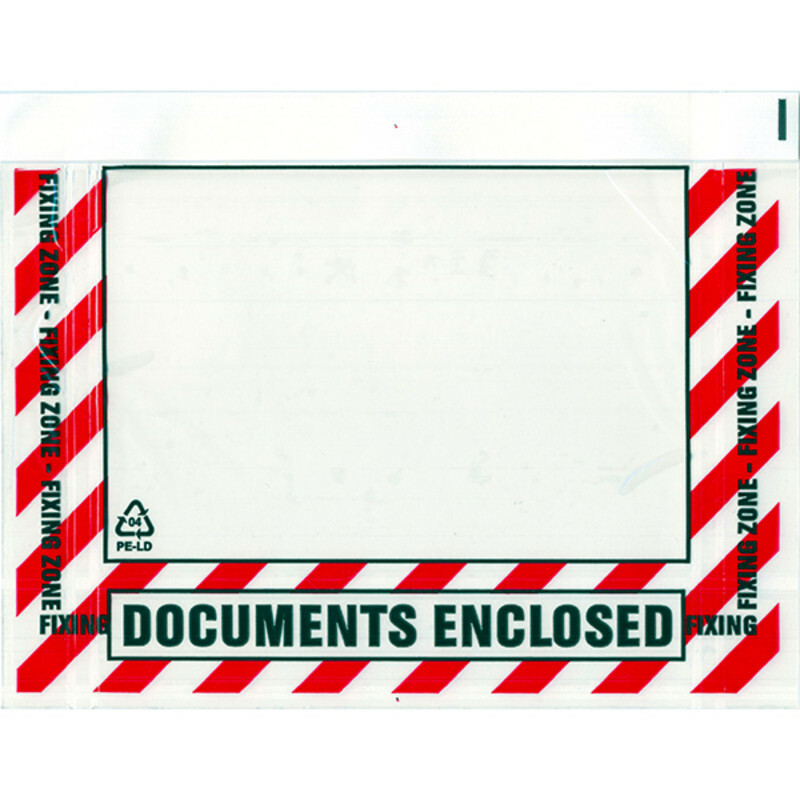 Tear-proof polythene film and an adhesive closure ensure that documents reach their destination safely and intact, anywhere in the world. We take the environment seriously. For this reason, we use only environmentally-friendly polyethylene in the production of our DEBAPAC™ products. Polyethylene can be recycled, does not contaminate groundwater, and does not emit poisonous gases when burned. 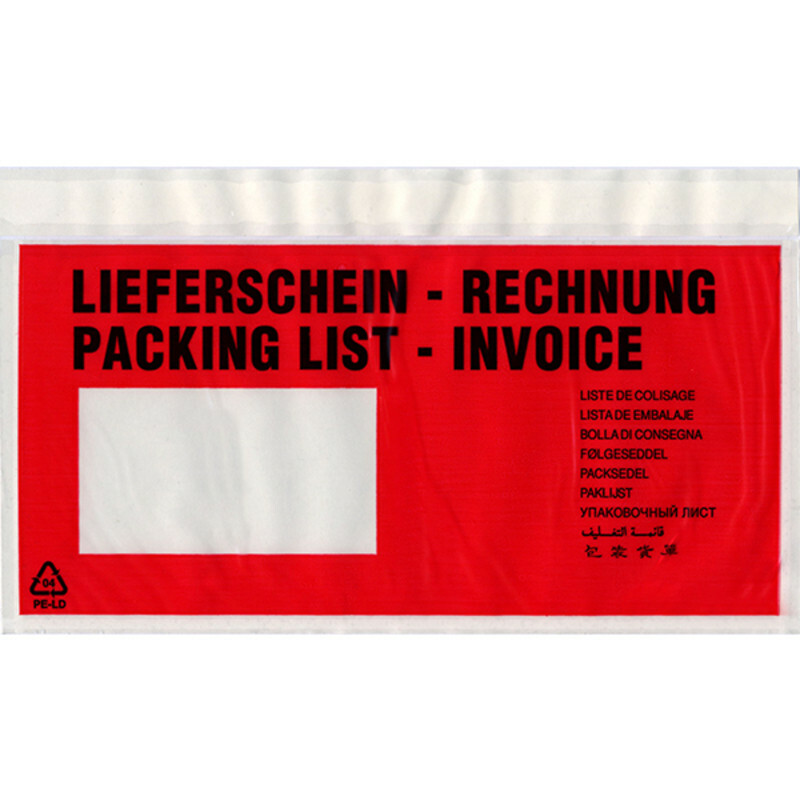 UNIPACK™ LIGHT – lightweight document pouches by DEBATIN – made in Germany!